Prochem Coffee Stain Remover is a specially formulated stain remover for the direct treatment of coffee, tea, tannin, beer, water marks and many other yellow and brown discolourations on carpets and fabrics. Coffee Stain Remover can be used on synthetic and natural fibre carpets, fabrics and other surfaces, subject to pre-testing. Always pre-test carpets, fabrics and other surfaces to be treated with a small amount of Coffee Stain Remover in an inconspicuous area before proceeding. Check for dye stability, colour change and texture change. Some fabrics and dyes may be sensitive to water or acidic solutions. Coffee, tea and browning stain remover for carpets, fabrics and most surfaces. Use for watermarks and other yellow and brown discolorations on carpet and fabric. 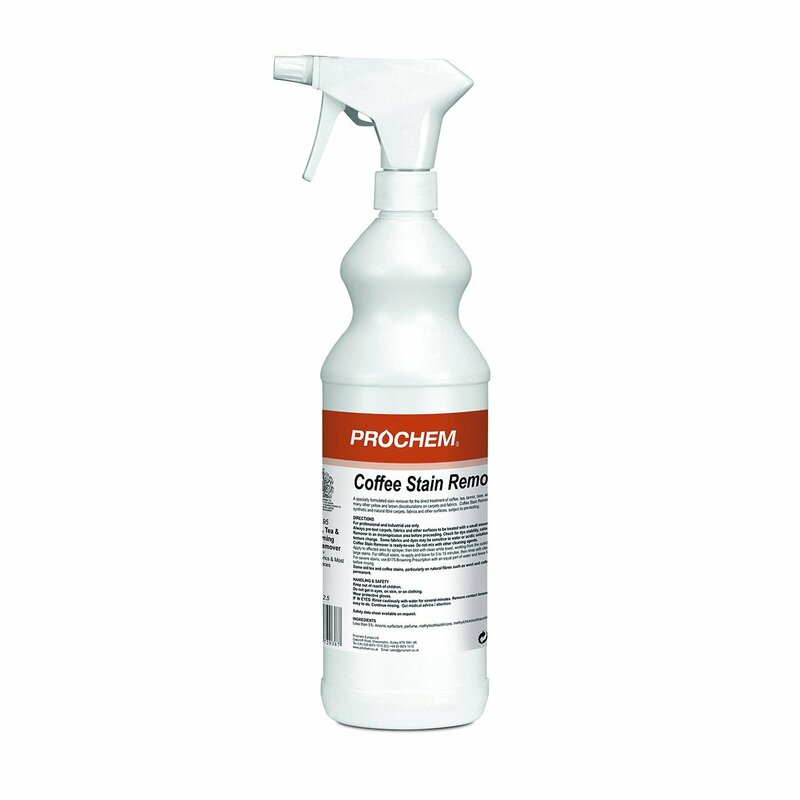 Coffee Stain Remover is supplied ready-to-use. Do not mix with other cleaning agents. Apply to affected area by sprayer, then blot with a clean white towel, working from the outside to the centre of large stains. For severe stains, use B175 Browning Prescription with an equal part of water and leave for a longer period before rinsing. Some old tea and coffee stains, particularly on natural fibres such as wool and cotton may be permanent.